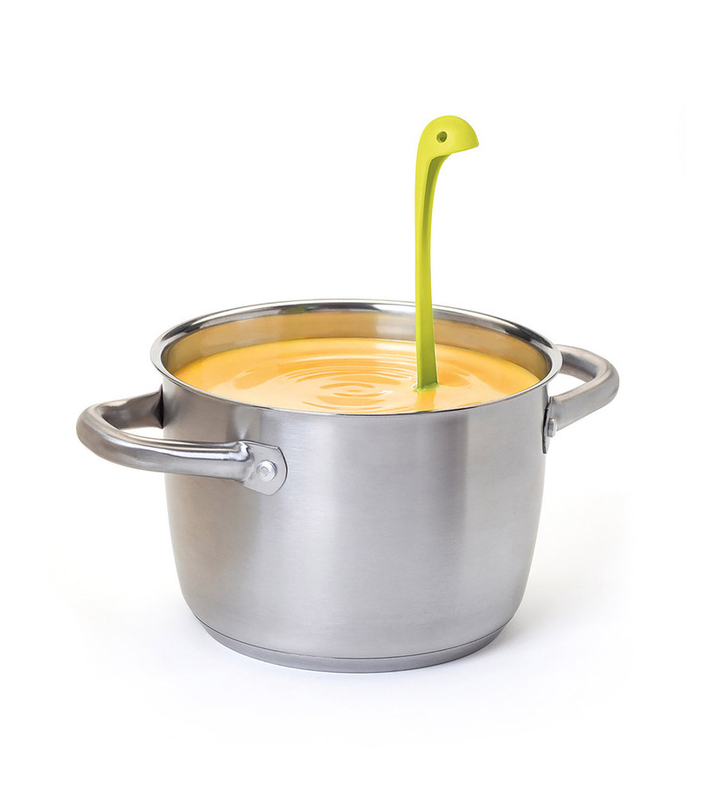 The Nessie Soup Ladle brings the Loch Ness legend into your kitchen. 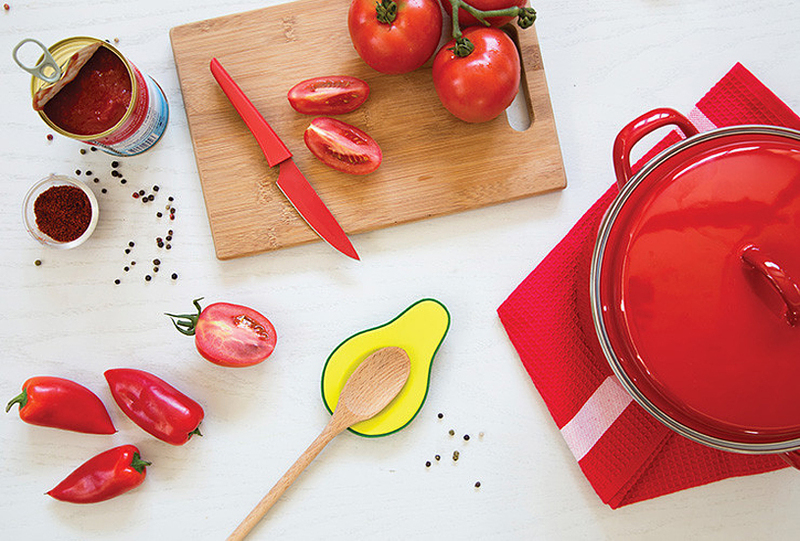 The Huffington Post called it “The Most Adorable Kitchen Appliance of the year”, and its been turning heads ever since. Designed by OTOTO. 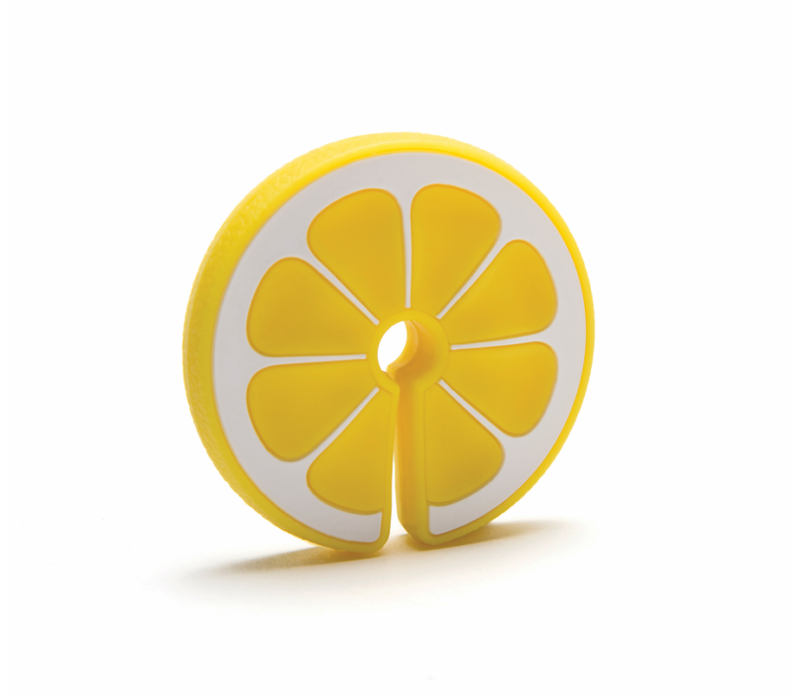 If you ever needed a reason to make your coffee break even sweeter, Peleg Design Studio has created this fantastic kitchen accessory. 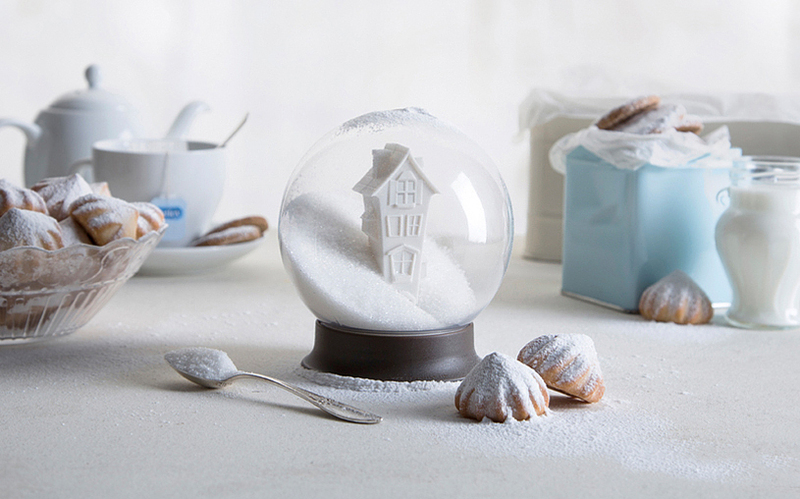 From a distance it looks like a classic snow glove, enclosing a winter scene with a white lonely house surrounded by a beautiful snowy landscape, but this is actually a sugar bowl! Promised to get you in the holiday spirit as well. 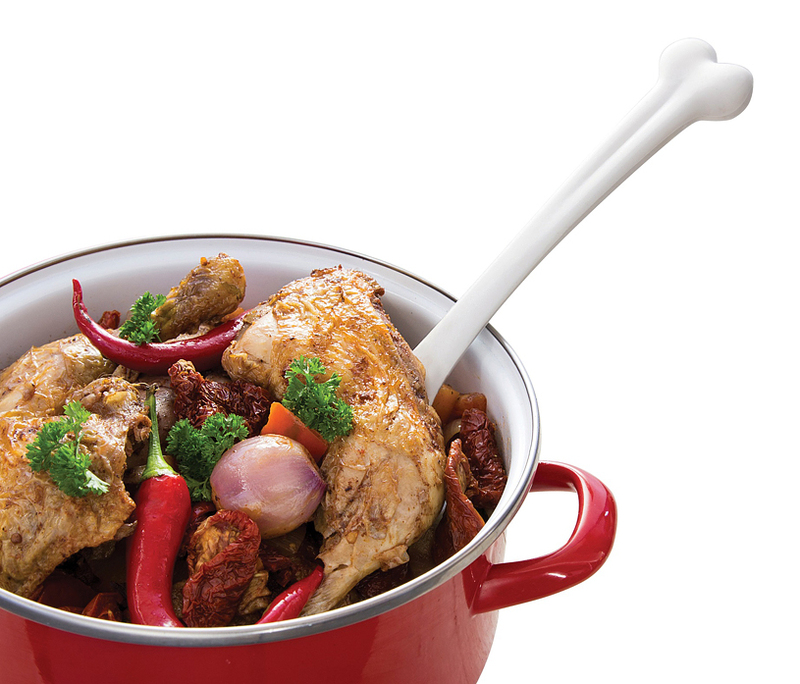 Cook like your ancestors, feel like The Flintstones, release the cavemen within! 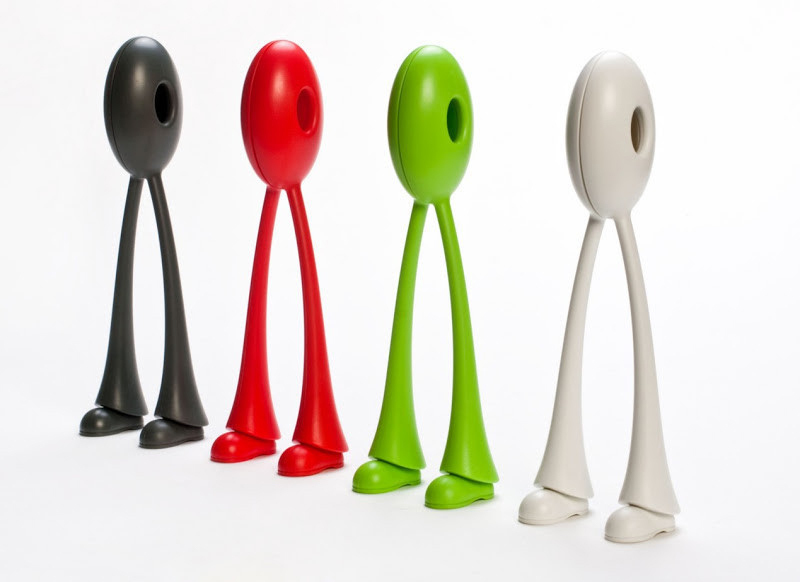 OTOTO, The creators of The Successful Nessie Series, have designed a great new product to add to your cooking utensils. 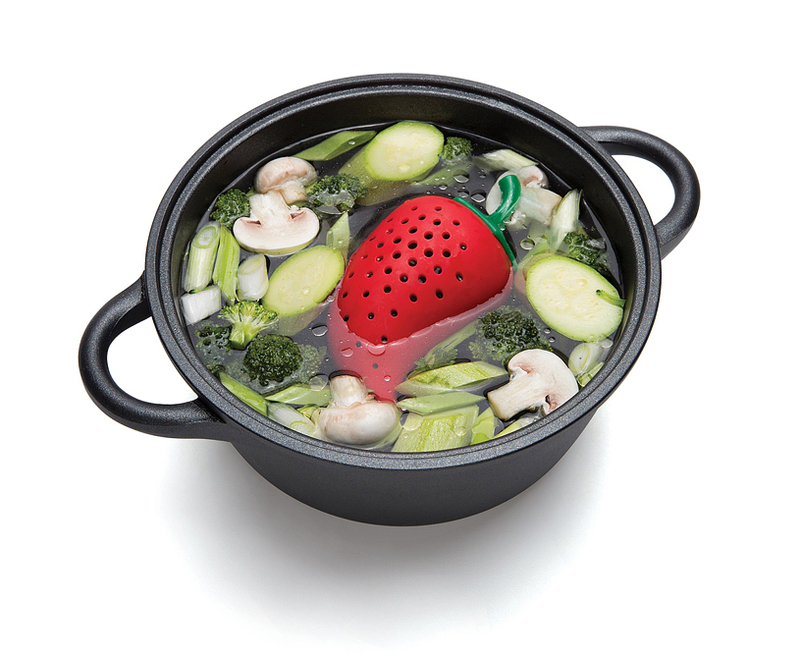 Made out of silicone, so safe to use in hot temperatures. 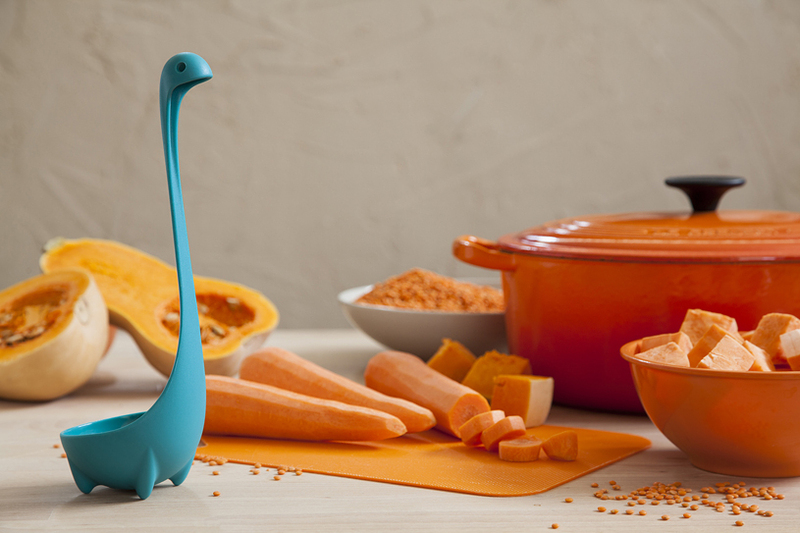 The second and most anticipated addition to the Nessie Series will pop out of your pot with your favorite pasta or vegetables ready to serve. 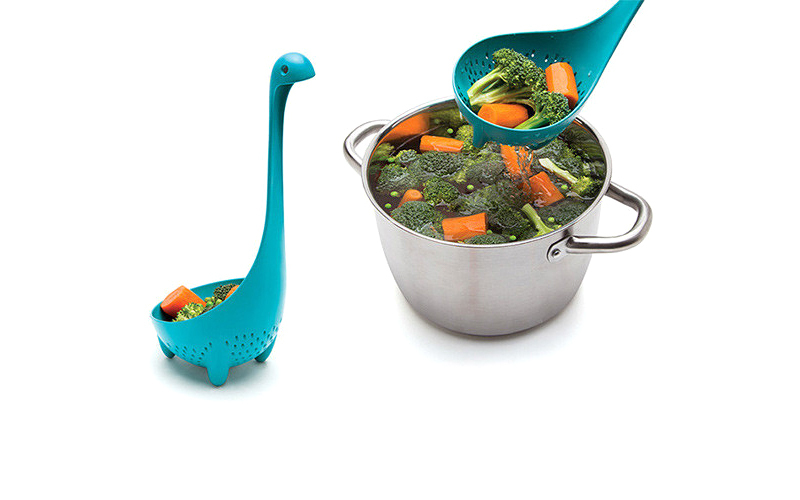 Both Nessie items are not only whimsical bus also practical- Theirfour stubby legs (that make them look like mythical sea monster) allow the spoon/strainer to stand on its own while you’re cooking! 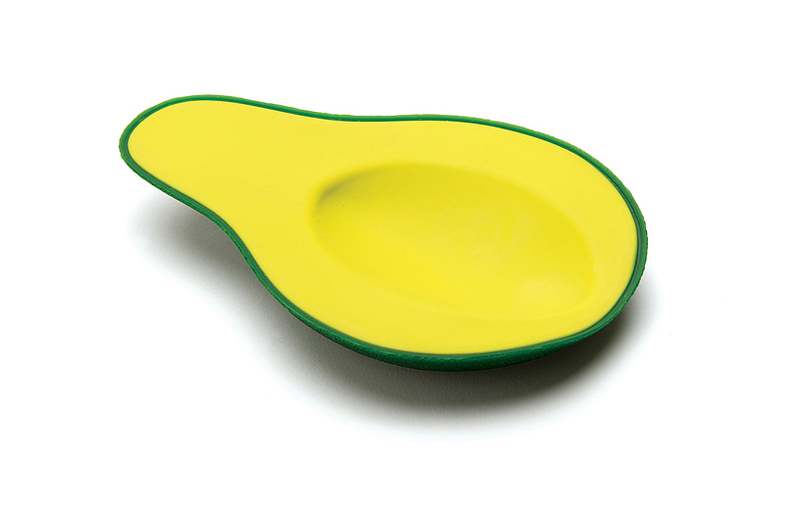 A Spoon Rest tool shaped like an Avocado. 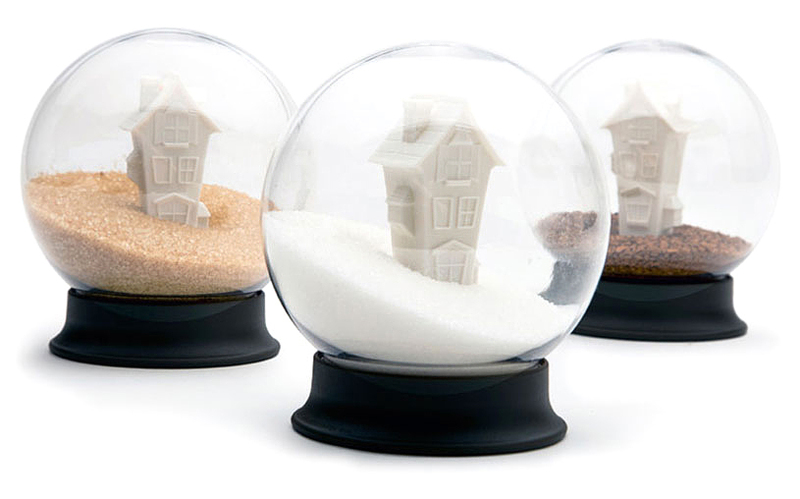 We took the seed and put it away, now let your spoon rest- it’s been working all day. 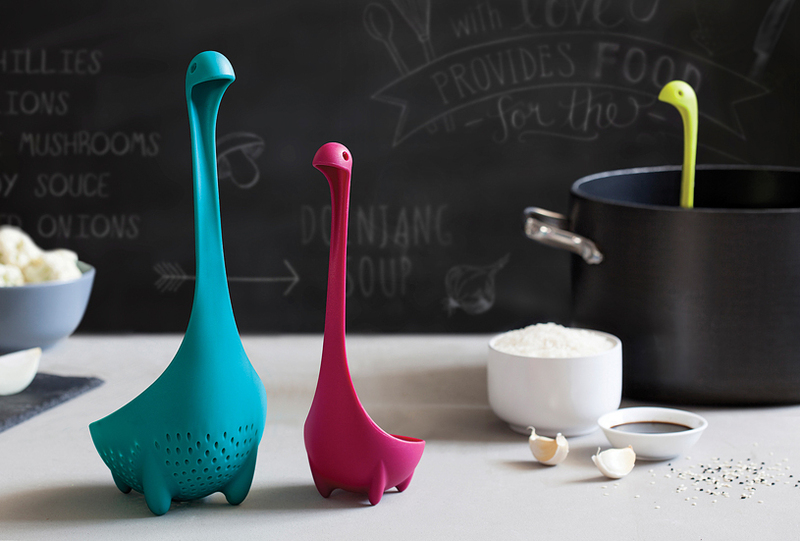 Dishwasher proof and heat resistant. Designed by OTOTO. 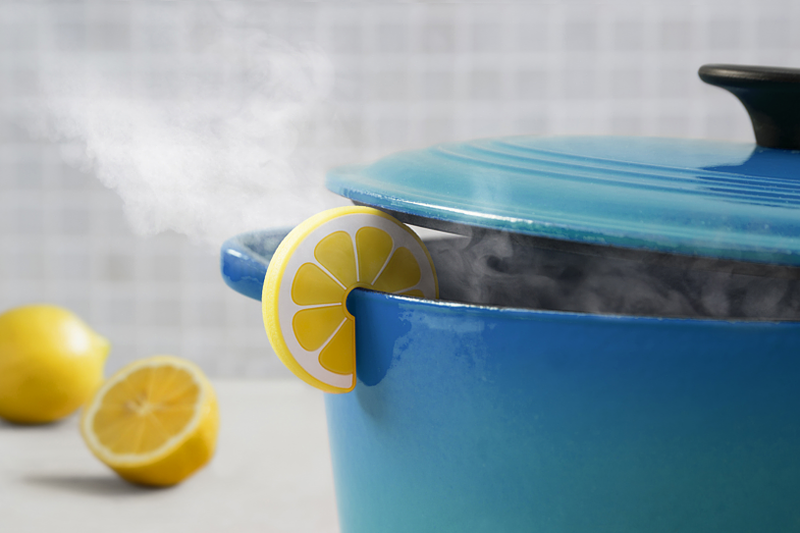 This adorable little Lemon slice will keep your pots open just enough to let the steam out, allowing your stews to cook perfectly. Designed by OTOTO. 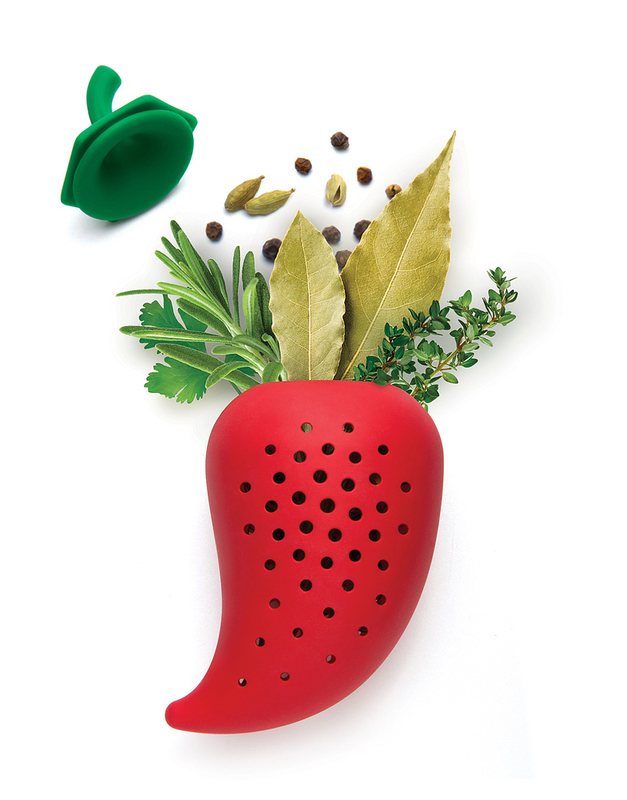 A fun silicone-made kitchen tool intended to “Keep the herbs from getting stuck in your teeth”  its super easy to use- just add your herbs to the Chili infuser while cooking to add flavor to your stew/soup etc. 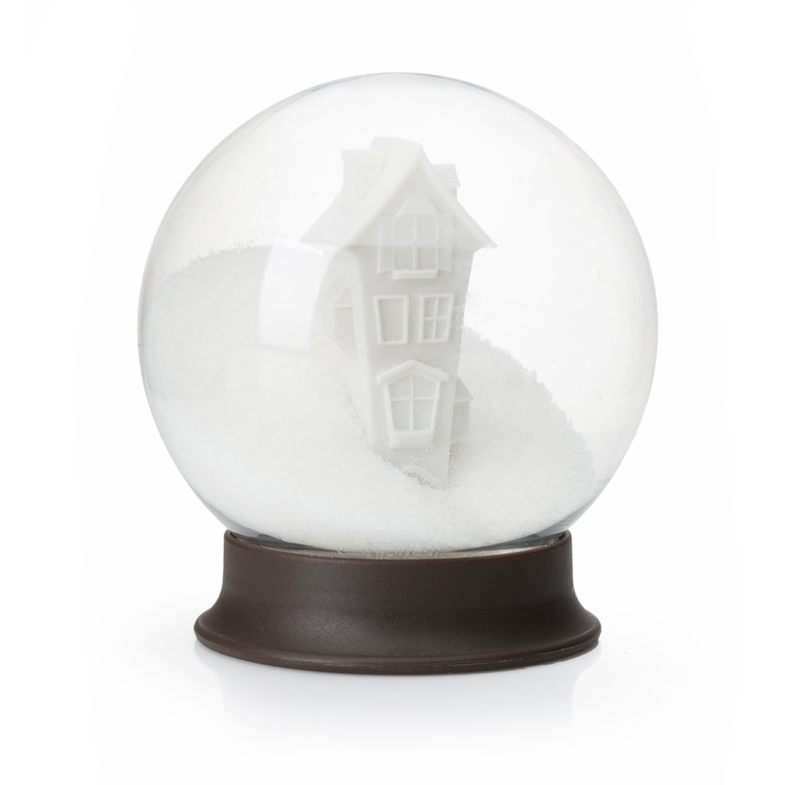 It’s dishwasher proof and heat resistant. 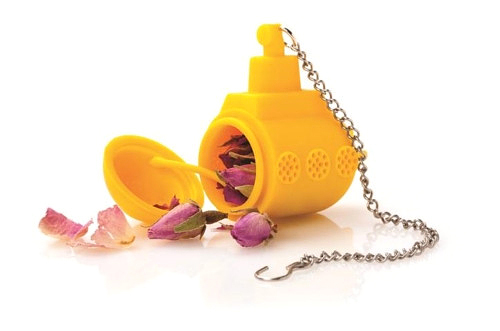 You don’t have to be a Beatles fan to enjoy this tea infuser! 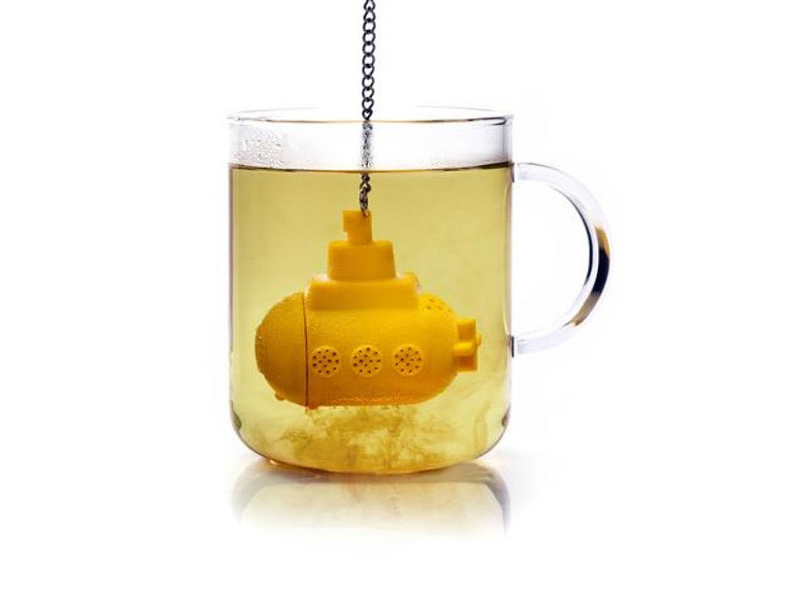 Whether it’s you who needs some pampering hot tea or your tea party guests, this cutie is practical and will also put some nice tunes in your head (because “we all live in a yellow submarine”…). 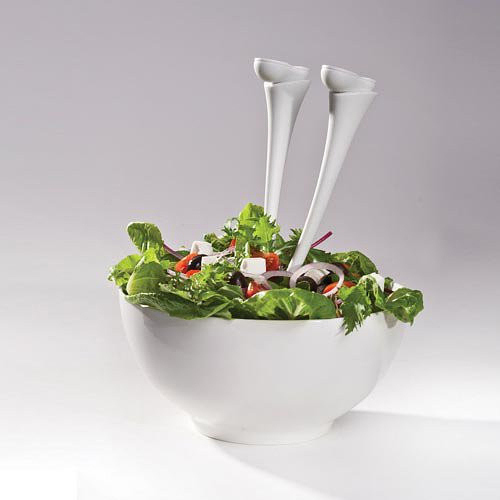 This lovely serving spoons set will sure freshen up your salad. 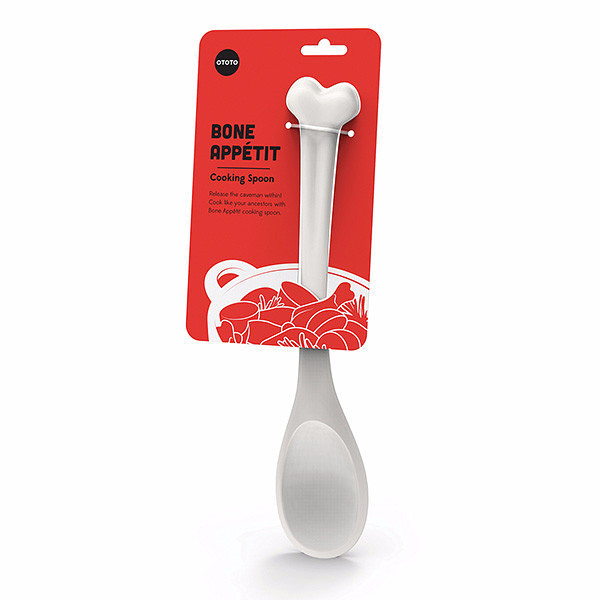 Shaped like a pair of legs, you can either stand the two up on the table next to you while you’re prepping or stick them in the salad to liven up the dinner party! 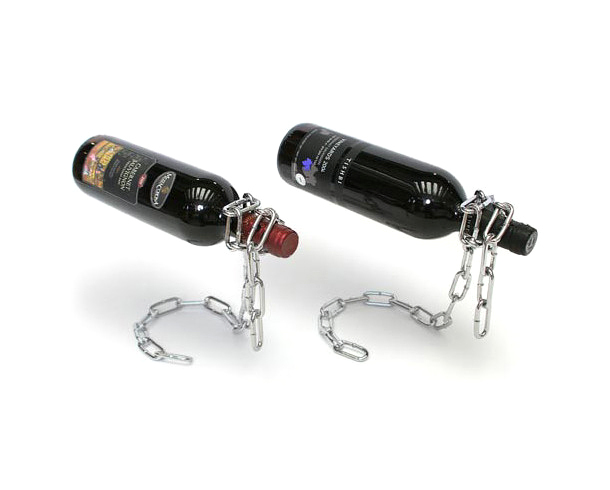 If you weren’t amazed by now by the last nine items, this one will surely blow you away-This bottle holder suspends in mid-air! Causing everyone around you an unstoppable-smile-CHAIN-reaction! 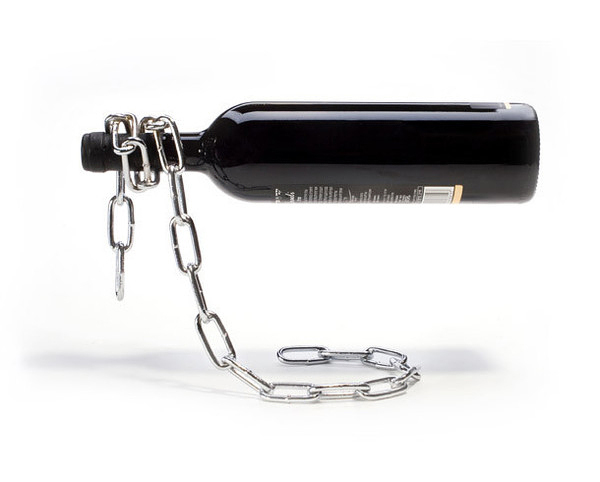 Designed by Peleg Design.